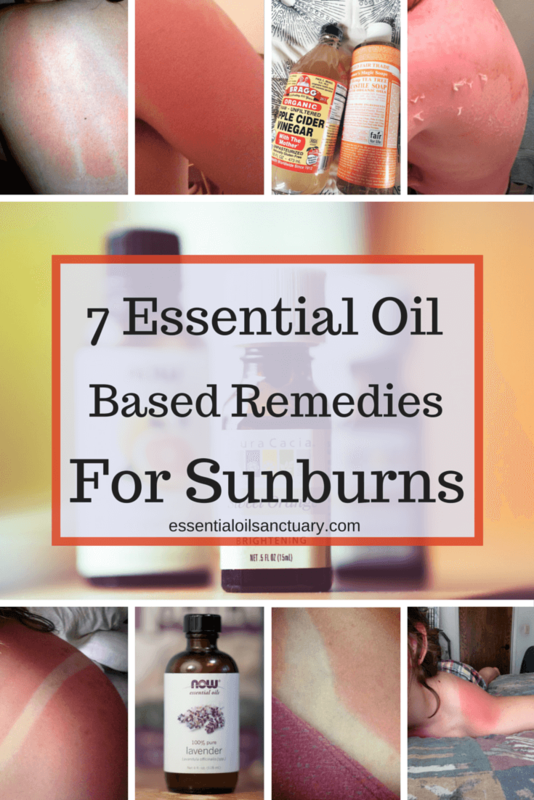 What are the best Essential Oils for Healing Sunburns? If You Peel, Try Not to Pick at it! Ouch – so you got burnt. Hopefully, it looks worse than it feels! Luckily there are plenty of remedies available for you to calm down and heal that burn. 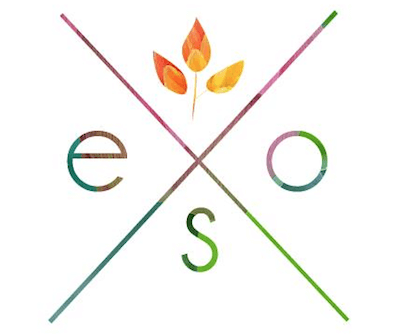 Below you’ll find the best suited essential oils that are good for sunburns. They’ll help you heal up quick and ensure your skin gets back to full health soon. Maybe even softer and healthier than before (with a nice tan too)! 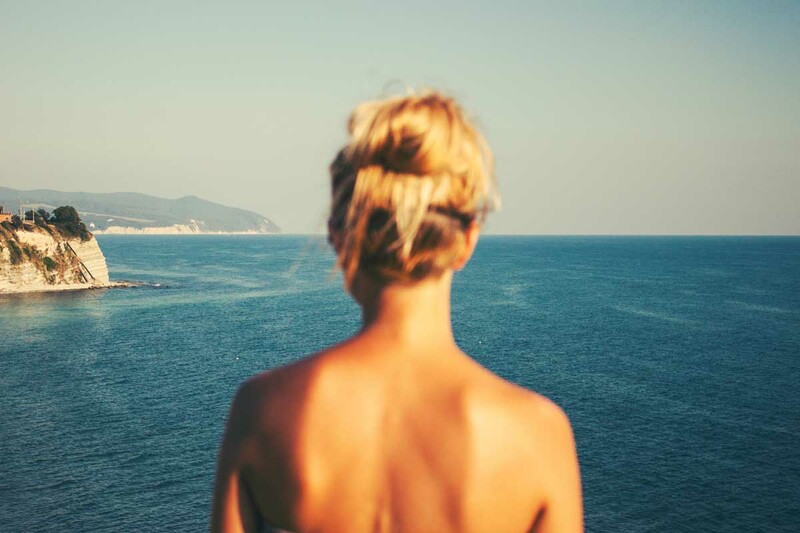 First, here’s a short list of some of the most coveted essential oils for sunburns. These are pretty popular skin-soothing oils and you’re likely to have at least one in your collection already. Which is always nice! Note that you should always seek medical treatment if swelling and/or severe pain or fever is present with your sunburn! 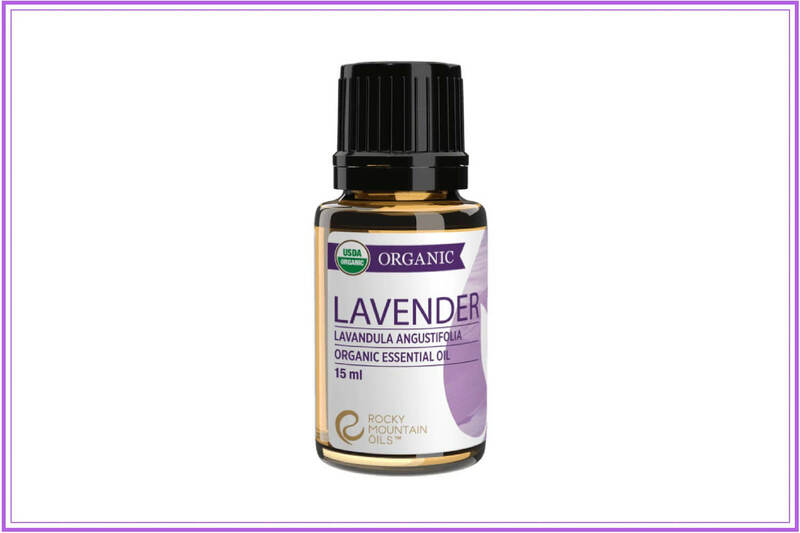 Rocky Mountain Oils 15ml Organic Lavender EO. Click image or here to learn more. 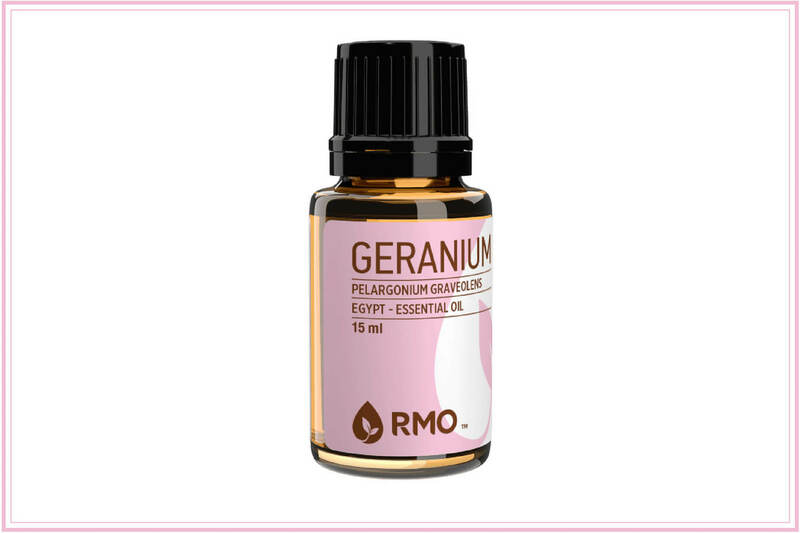 Rocky Mountain Oils 15ml Geranium EO. Click image or here to learn more. 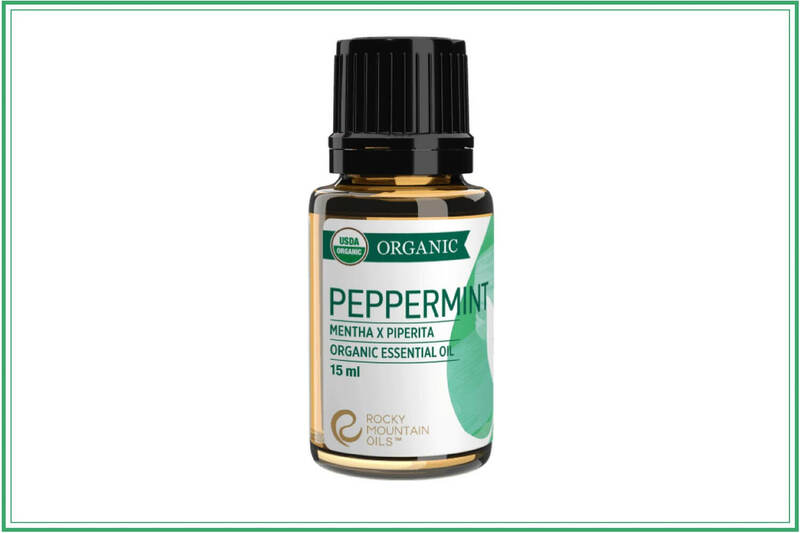 Rocky Mountain Oils 15ml Organic Peppermint EO. Click image or here to learn more. 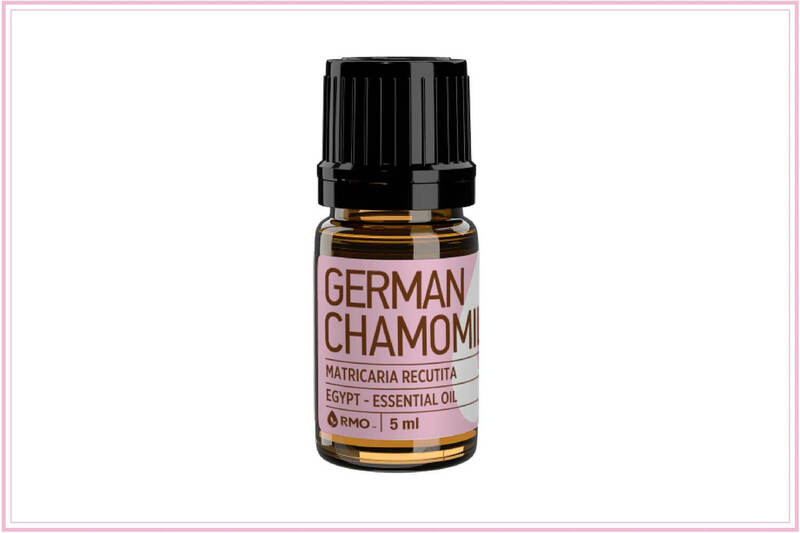 Rocky Mountain Oils 5ml German Chamomile EO. Click image or here to learn more. Now let’s put these oils to use! This spray utilizes the cooling, analgesic properties of peppermint oil. Note that this spray is intended for sunburnt skin that is non-blistered. In a dark-colored 4-oz glass bottle spray top bottle, add the water and peppermint essential oil, and shake well to blend. Spray the blend on the affected area and allow it to air-dry before putting on clothes. Shake the bottle before each use. This recipe makes 24 treatments. Both lavender and tea tree help relieve the pain associated with your sunburn while helping advance the healing of your compromised skin. In a dark-colored 4-oz glass bottle spray top bottle, add the water along with the lavender and tea tree oils. Shake well to blend. Repeat this treatment as needed until the sunburn fades. Shake the bottle before each use. Note: for best results, this treatment should be used as soon as possible following a sunburn. 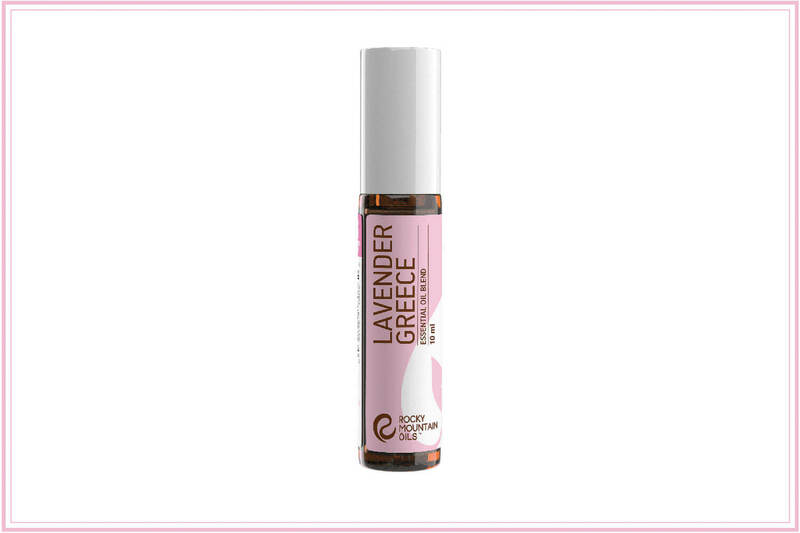 This 10 ml Lavender Roll-on is perfect for targeted sunburn relief. It’s recommended that you apply the calming the burn blend above once you’ve dried off after your bath. For small patches of sunburn, you can simply apply a drop or two of lavender or tea tree oil neat. Neat application means that the oils are applied direct and undiluted. It’s not always the best idea to apply oils neatly like this, as it can be a bit much for your skin if it is highly burnt or sensitive. This ointment will help the skin to regenerate and prevent scarring. Combine ingredients and apply thoroughly to affected areas. While essential oils will help a great deal with your sunburn symptoms there are some other products and protocols as well to consider. This is obviously an ideal scenario. For now, you’re burnt. And if you’re not careful all of that sun exposure will result in a bunch of peeling skin. You’ll have no resulting tan because all that freshly sunned skin fell away! The best way to turn that burn into a tan is to keep your skin moisturized and vitalized. So following your burn you should be regularly applying layers of aloe vera gel, coconut oil and/or calendula cream. This will nourish and hydrate your skin, and keep it from peeling. 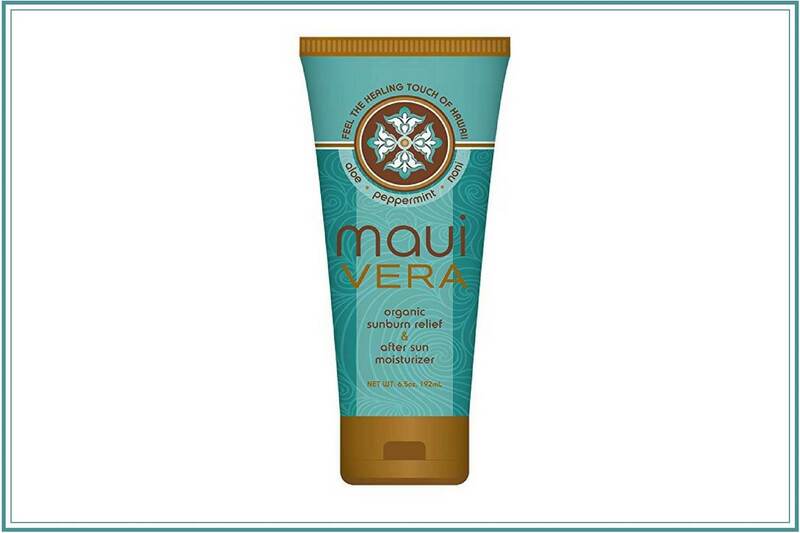 Maui Vera Organic Sunburn Relief & After Sun Moisturizer. Click the image or find it here. Sometimes you don’t have a premade DIY sunburn relief on hand. If you want something convenient and effective that you can keep on hand I recommend Maui vera. This is very basic and straightforward advice, but many people neglect it. Even if you forgot to drink water before your sun exposure, it’s not too late to chug it down now after – even if you already have a bad burn. Any water you put in your system will help nourish your skin and ease the pain while also helping your body to rebuild new skin tissue and limit the duration of your burn. Coconut oil is really good stuff for keeping skin healthy and nourished. If you’ve been burned already or are planning to be in the sun a good deal it’s highly recommended that you add plenty of coconut oil to your diet and apply it topically as much as you fancy. It’s all natural, full of healthy fats, tastes good and does wonderful things for your skin and body. Apply before and after sun exposure. While I’ve already listed some recipes above that feature it can’t hurt to apply even more of the stuff. Vinegar both prevents the pain associated with sunburn and prevents the peeling that comes later. A neat application of vinegar is easy – just dip a cotton ball in your apple cider vinegar and rub it directly on the burn as much as you like. Aloe vera is notorious for helping soothe and heal sunburns. It’s applied topically and can be found easily. If you are buying aloe vera products you’ll want to use discretion and seek out products that are as natural as possible. Many aloe vera products are packed with chemicals and unsavory ingredients. If you want to buy an all natural aloe vera gel I recommend this one. But +1 if you’re able to pick your own aloe straight from the plant! If you must do something then use a washcloth to gently remove the dead skin. This helps your skin from being unnecessarily damaged. 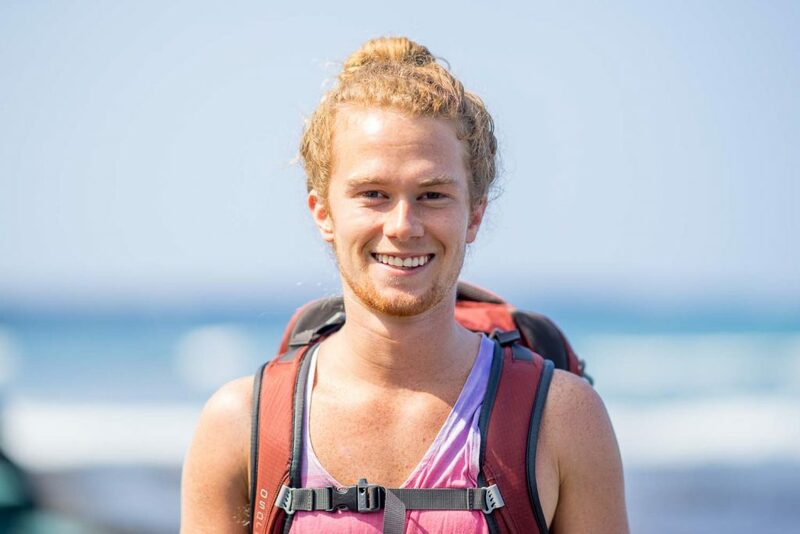 Now that we’ve covered how to treat pre-existing sunburns, let’s talk about how to prevent future ones! (While still getting the sun exposure you want). Most of the ingredients in this DIY sunscreen all have natural SPF qualities to them. Melt the coconut oil and shea butter using a double boiler (bain marie method). This involves putting the oils in a bowl that is placed in a pan of hot water. Pour the oil into a clean glass jar and let the mixture cool down. Astaxanthin has been shown to be profoundly protective against sunburn (sources: here, here, here, here, here) Astaxanthin is an antioxidant that’s found in algae and the animals that eat the algae. It’s what makes salmon, shrimp and flamingos pink. In recent years it’s strong antioxidant qualities have been praised for having “internal sunscreen” qualities. A study testing astaxanthin’s effects on human skin cells showed definite protection from UVA damage. It’s recommended that you take with a high-quality astaxanthin supplement for at least a few weeks before sun exposure to get the full benefits. 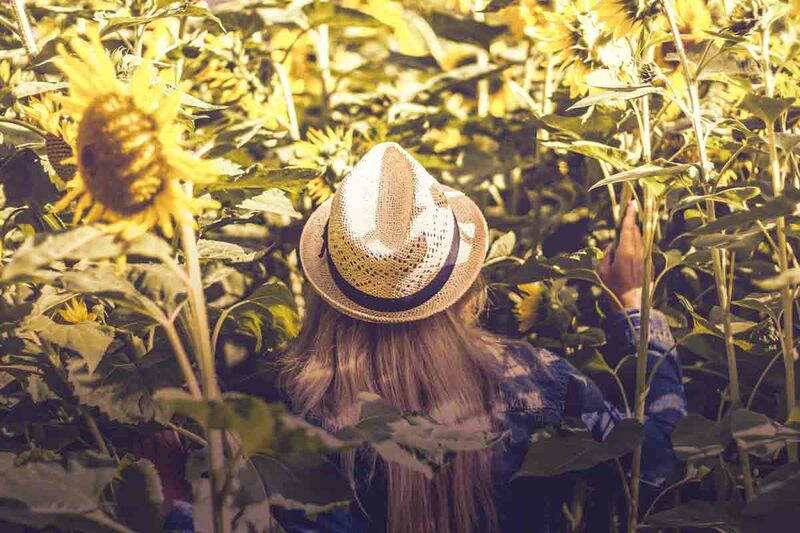 We need vitamin D for health and immunity and most easily get it from sun exposure, but we also need healthy vitamin D levels to properly protect ourselves from sunburn in the first place. So sun exposure helps us synthesize vitamin D, but we shouldn’t be deficient in it before we get sun or we could get burnt. In fact, low vitamin D levels can be a direct reason why we are susceptible to easy burns and high vitamin D levels can go a long way toward preventing them. The solution is to supplement with the vitamin to get to adequate levels before we indulge in long afternoons in the sun. Many people have far too low levels of serum vitamin D and should consider taking a vitamin D supplement in the 5,000 IU – 10,000 IU range. While generally safe to supplement in these ranges, you might want to get a vitamin D blood panel test done to assess the current levels of the vitamin in your body. 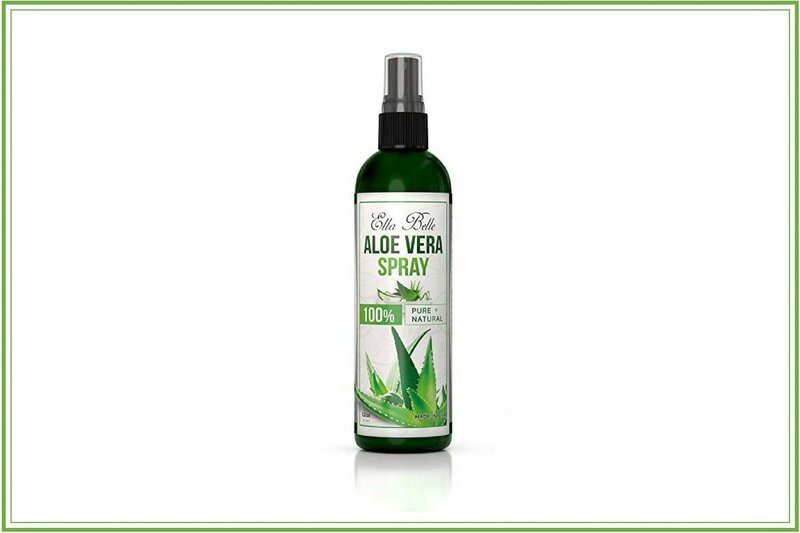 Ella Belle All Natural Aloe Vera Spray. Find it here. Lycopene is a well known and well established healthy carotenoid found in tomatoes. One of its popular benefits is its ability to protect humans against sun damage. Healthy women between the ages of 21-47 who ate 55 g of tomato paste that contained 16 mg of the carotenoid every day for three months experienced significant protection again sun damage. Cooked tomatoes provide the most concentrated and bioavailable lycopene, so stock up on those sauces and tomato paste! 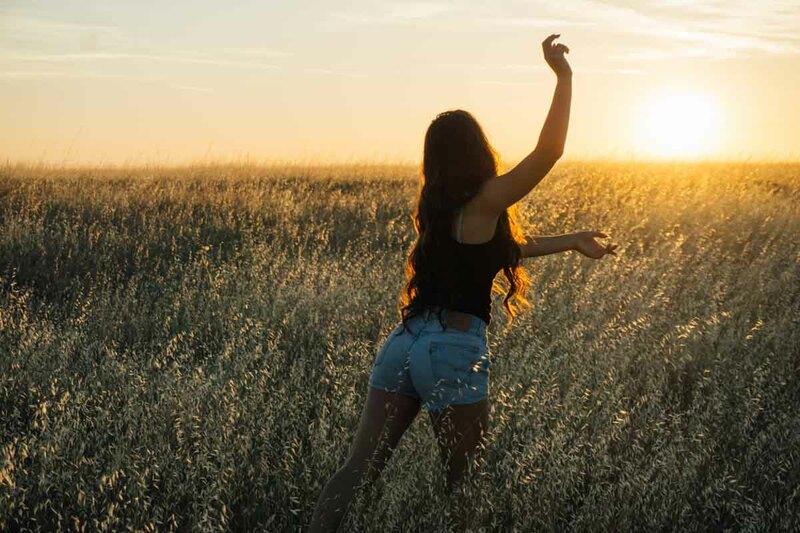 People and societies as a whole who grow up with high sun exposure have fewer rates of skin cancer and melanoma than populations that more often stay in doors. The highest rates of skin cancer are exhibited by individuals who spend the majority of their life inside and have pasty white skin that’s rarely touched by the sun. As soon as they go out in the sun with such sheltered skin they are at high risk for serious burns. And one serious burn can do far more damage than long-term sun exposure without burns. 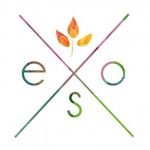 The following essential oil based recipes are meant to be applied right after sun exposure. They support the prevention burns and can help you tan. This oil will both nourish freshly sunned skin and increase/prolong your tan. Combine ingredients and apply as necessary to well-sunned areas. Hopefully, this post has been helpful for you. If you have any questions, comments or recommendations of your own please let us know in the comment section below. Just used the lavender and ACV bath mix….worked a treat! I got fried in the Aussie sun while out a suf today….not stinging anymore ? Can coconut oil be substituted for sesame and almond oil in these recipes? My daughter and I are both allergic to sesame and almond oils but have no problem with coconut.oil. Hi Karen. Yes, go for it! 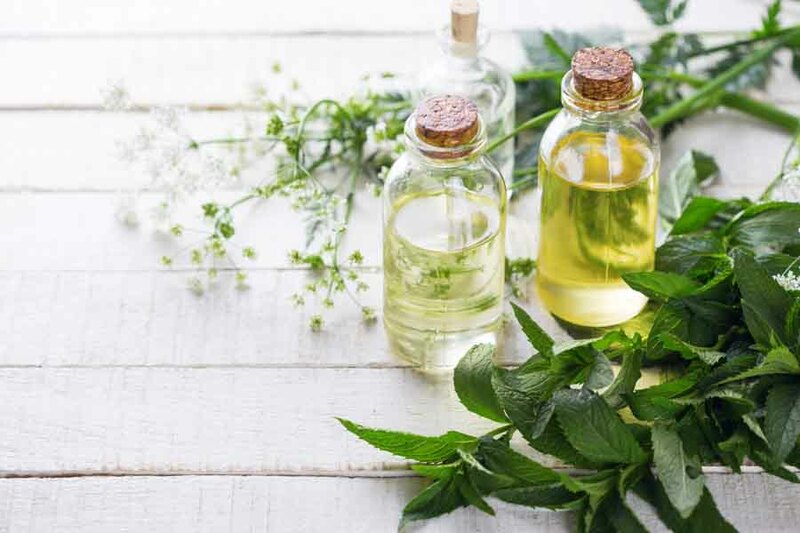 can i use eucalyptus oil instead of peppermint?